A dessesrt bowl/beaker and spoon designed for the yo-yo dieter. Pinching an inch? 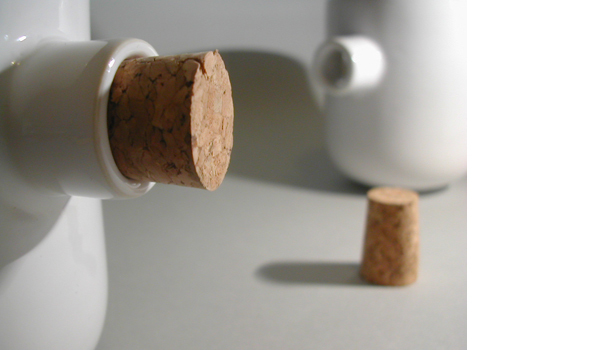 Then remove the cork to serve half a pudding portion. Pop it in again when feeling slim and trim.